Laura is the author of several time management and productivity books. Off the Clock: Feel Less Busy While Getting More Done (Portfolio, May 29, 2018) explores, through more than 900 time diaries collected on a single March day, why some busy people feel relaxed about time, while others do not. I Know How She Does It: How Successful Women Make the Most of Their Time (Portfolio, 2015) tackles the question of how women combine work and life through an analysis of 1001 days in the lives of women with demanding careers and children at home. What the Most Successful People Do Before Breakfast (Portfolio, 2013) profiles prominent people who use time creatively to achieve their goals. 168 Hours: You Have More Time Than You Think (Portfolio, 2010) argues that time is best approached from the holistic perspective of a week (168 hours) rather than any single day. 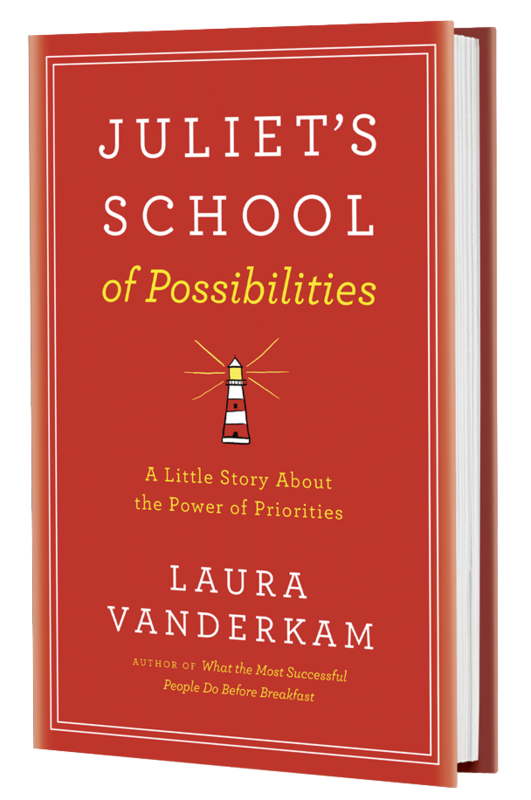 Laura is also the author of a time management fable, Juliet’s School of Possibilities, published by Portfolio in early 2019. Another novel, The Cortlandt Boys, is available as an ebook. She has appeared on numerous television programs, including The Today Show and CBS This Morning, hundreds of radio segments, and has spoken about time and productivity to audiences of all sizes. Her TED talk, “How to gain control of your free time,” has been viewed more than 8 million times. She is the co-host, with Sarah Hart-Unger, of the podcast Best of Both Worlds. She hosts the every-weekday-morning podcast Before Breakfast, featuring productivity tips designed to take listeners’ days from great to awesome. Laura Vanderkam is the author of several time management and productivity books, including Juliet’s School of Possibilities, Off the Clock, I Know How She Does It, What the Most Successful People Do Before Breakfast, and 168 Hours. Her work has appeared in publications including the New York Times, the Wall Street Journal, Fast Company, and Fortune. She is the host of the podcast Before Breakfast and the co-host, with Sarah Hart-Unger, of the podcast Best of Both Worlds. She lives outside Philadelphia with her husband and four children, and blogs at LauraVanderkam.com. Need a headshot of Laura for media or promotional use? DOWNLOAD HERE.